A reception celebrating the commemorative exhibition Necessary Words & Images: 70 Years of The Georgia Review will be held at the Richard B. Russell Building Special Collections Libraries April 13 at 5:30 p.m. The event will also feature six other new exhibitions and will include live music, spotlight tours, light refreshments, and gallery games. Necessary Words & Images narrates the seventy-year history of The Georgia Review from its 1947 inception as a small regional magazine to its maturation as one of the country’s leading literary journals. 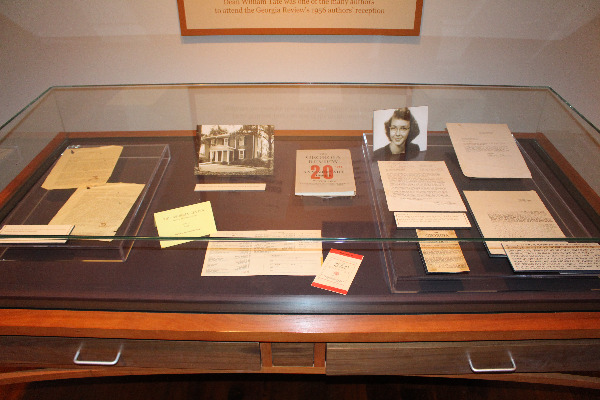 The story is told through correspondence and other archival material from the Hargrett Rare Book and Manuscript Library and from the Review’s archives.